Cookies are small bits of information that our server sends to your browser with the intention that this information is sent back to our server when you visit our site the next time. These small text files are stored on the hard disk or in the memory of your computer. The cookie stores information (such as the settings of your PC and preferences indicated by you) to facilitate subsequent use of our website www.segwayrotterdam.nl. This information contains your IP-address, no name, address or other personal information. You can set your browser so that you will not receive cookies during your next visit of our website. 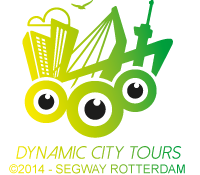 In this case, it may happen that you can not use all the possibilities of www.segwayrotterdam.nl or that you have no access to (parts of) the website.